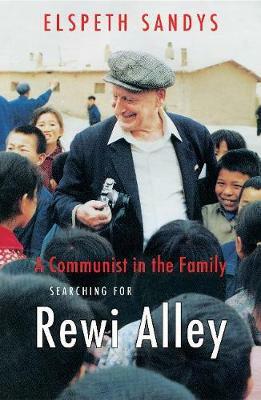 A Communist in the Family: Searching for Rewi Alley is a beautifully written multi-layered narrative centred on New Zealander Rewi Alley and his part in the momentous political events of mid-twentieth-century China. Part-biography, part-travel journal, part-literary commentary, A Communist in the Family brings together Alleys story and that of his author cousin, Elspeth Sandys. In 2017, Sandys travelled to China with other family members to mark the ninetieth anniversary of Rewis arrival in Shanghai in 1927. One strand of this book follows that journey and charts Sandys impressions of modern China. Another tells the story of Rewis early life, in an insightful meditation on the complex and always elusive relationship between memory and writing. By placing the man, Rewi, and his work in the context of his time, Sandys is able to illuminate the life of this extraordinary New Zealander in a way that is both historically vivid and relevant to the world of today. Her focus on the role poetry played in his life both his own and that of the Chinese poets he translated so prolifically provides moving glimpses of the man behind the myth. Threaded through A Communist in the Family are Sandys evolving insights into a nation that looms ever larger in the day-to-day realities of New Zealand and the world. The strange and strangely intimate link between the two countries Rewi regarded as home is one in which he played, and continues to play, a crucial role. Elspeth Sandys has published nine novels, two collections of short stories and two memoirs. She has written extensively for the BBC and for RNZ as well as for TV and film. Her stage plays have been produced in the UK, the US and New Zealand. Elspeth lived for many years in the UK but has been back in her home country of New Zealand since 1990.